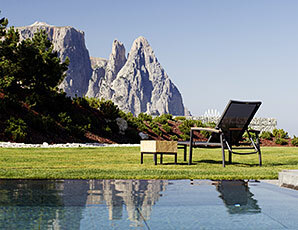 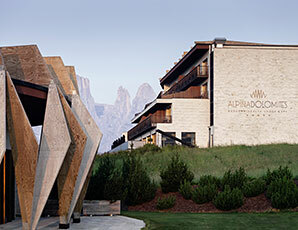 You’ll be wowed by the irresistible charm of the Alpine world of the Dolomites in the spring, summer and autumn. 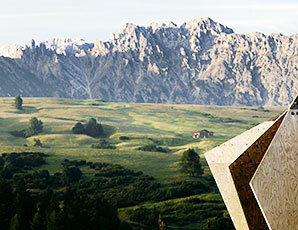 Nature lovers can’t do anything but be enthralled by the breathtaking panorama of the Alpe di Siusi, Europe’s largest high-altitude Alpine meadow. 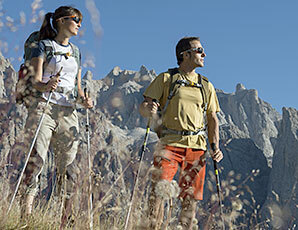 There are many ways to discover the Alpe di Siusi, practicing your favourite sport in a unique setting: walking and hiking, climbing on paths with handrails, mountain biking, paragliding, horse-back riding or just relaxing in the heart of nature, surrounded by luxuriant meadows and silent woods, being continuously surprised by marvellous and always different panoramic views.